Take advantage of the Worcester Wave's smart internet technology by using the app to control your heating from your smart phone/tablet. 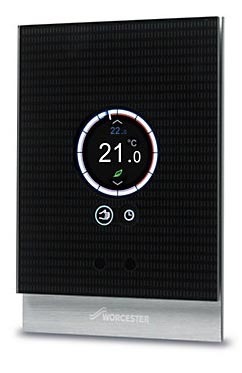 The advanced programming enables the wave to interact with your boiler and its clever control features will help improve the efficiency of your heating system. Includes free downloadable app which you can use to manage your heating and hot water anywhere in the world. Clever holiday mode technology to give you peace of mind whilst you’re away. Heating and hot water charts to identify potential savings and symbols to indicate when savings are being made. 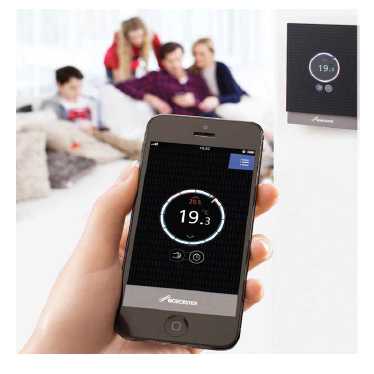 Achieves an A* ErP efficiency rating for heating when combined with a Greenstar combi boiler. Smart internet connected programmable control.